The Blind Pig provides a welcoming Cafe/Bar experience in Monton Village serving great food, coffee, cocktails all day. Put all your eggs into one basket this Easter. 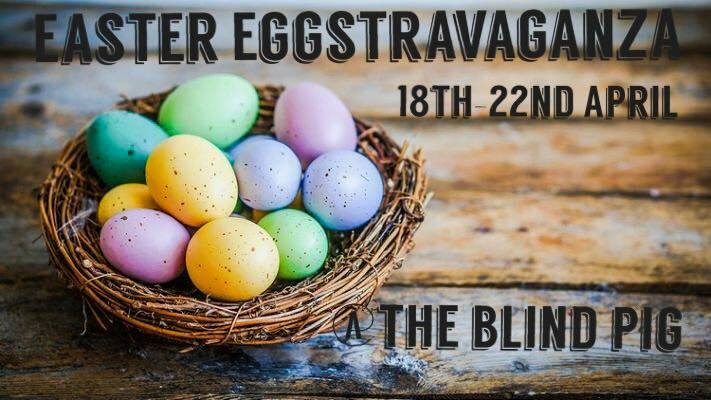 Get down and take part of the Easter revelry and help us get warmed up for summer.